User trust is key to data-driven business. When people use online data-driven services they interact with their data in sometimes complex ways. For them to have trust in this experience, it's important that they understand it. Every company, from the smallest startups to large platforms, must innovate to provide trust, transparency and control to people. Design and experience has a big role to play. The GDPR presents new opportunities to create interfaces for people to understand and control their data. Startups will help to lead this change. Startups and industry share the same challenge with regulators and policymakers: how best to communicate to people how their data is collected and used, in a way that doesn't disrupt their experience; clarifying their understanding so that they can make meaningful and well informed choices. This challenge requires multidisciplinary approaches. However, startups don't normally have access to teams of specialists, so it's important to cultivate an environment where they can collaborate with diverse experts and build innovative digital environments for people. 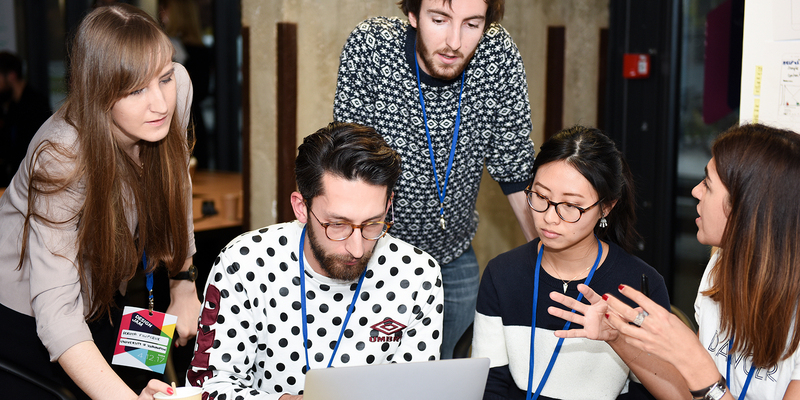 Bring together data-driven startups from Station F across multiple industries, and use the guidelines offered by the GDPR to design an innovative user interface that gives people transparency about how their data is used, while also providing a great user experience. Startups from Facebook's Startup Garage and the wider community of startups from Station F. We also welcomed experts from a variety of disciplines, including representatives from the Paris design community, public bodies, data protection regulators and academic experts, as well as members of small and medium-sized businesses and industry. "I’m usually rather skeptical of thematic events like this as their focus is often too broad, but the Jam was the opposite. From the start, it was clear that the focus was on user experience. 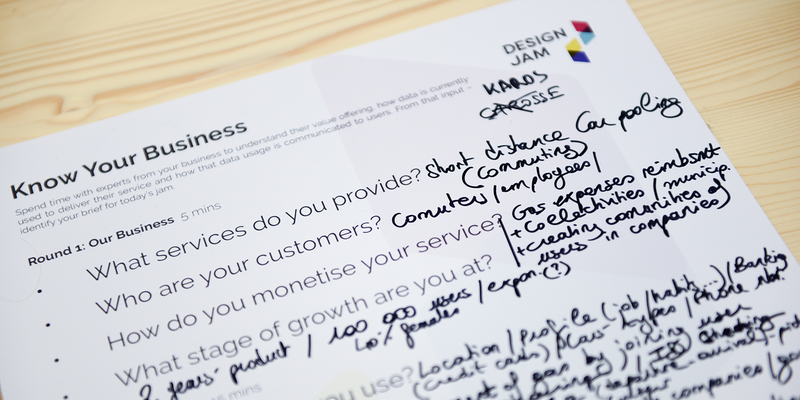 As a startup, having 7 specialists — 1 businessperson, 2 lawyers and 4 designers — from major companies, working on your project… It’s priceless"
As this Design Jam focussed on real startup businesses based at Station F, we needed to collect information to best understand their needs. 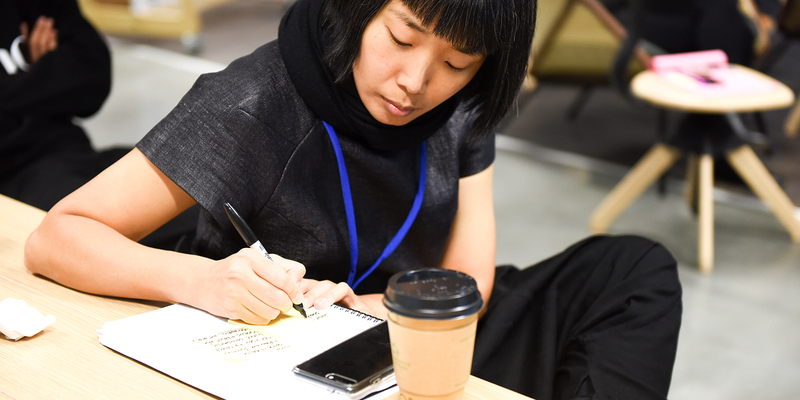 The week before the Design Jam, business founders and leads were asked about their opportunities and challenges around data protection regulation. Had they looked at new consent flows or built transparency into their service? What areas of their design need the most work, and what would be their ideal output by working with designers and experts? Subject matter experts gave presentations to the group: Estelle Hary, designer at the CNIL, spoke on designing for GDPR, and Chris Downs, founder of Normally, talked about the need to build better, more informative, fairer and more positive interactions. be adaptable and scalable for growth? create a common visual language for trust and compliance? explain at the right level? be quick, asking only for what is needed? be human, honest and trustworthy? Each team completed a Know your business exercise to identify their brief for the day by interviewing startup founders and leads about their value offering, how their data is currently used to deliver their service and how that data usage is communicated to people. The facilitators Set brainstorming rules and introduced the teams to Sketching ideas. Each team fed off the insights from the previous exercise to Understand users. They analysed user needs, completing overviews for 2 fictional user profiles for their startup's service on a persona worksheet. 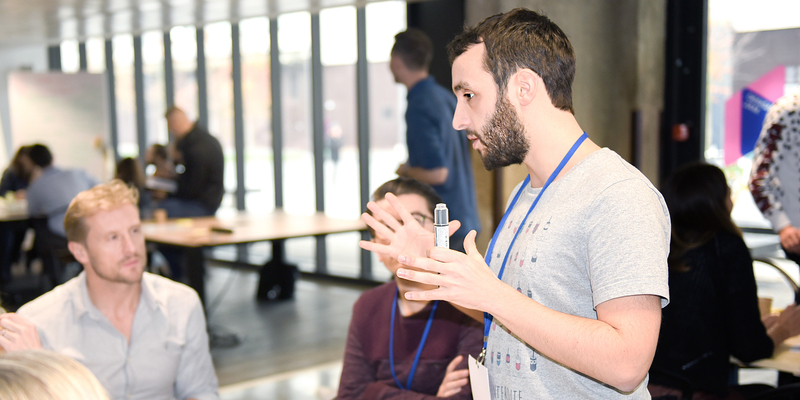 Teams then entered into the development stage of the workshop, moving from sketching ideas and receiving Feedback from other teams to Building digital prototypes of a single idea for each startup's app layout, based on the brief. Each team filled out a presentation board to Ceate a pitch, telling the story of their design patterns back to the whole group and receiving Feedback from experts at the end of the day.